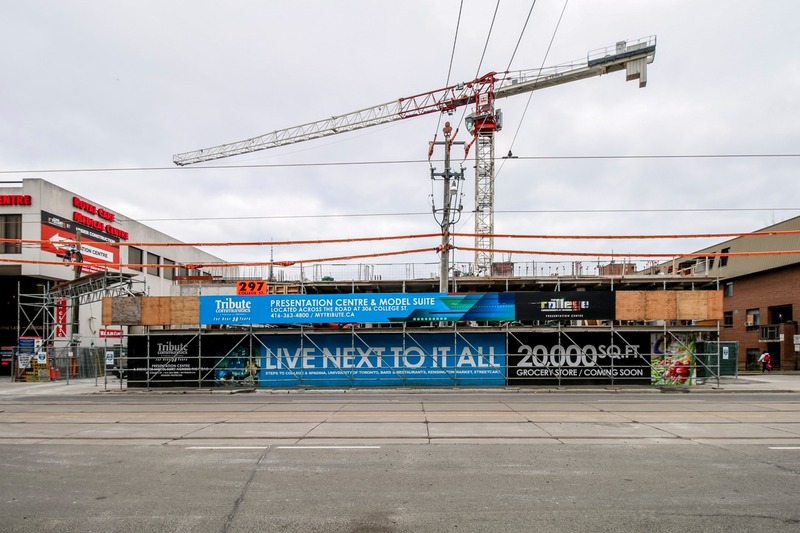 A 15-storey development by Tribute Communities, The College Condominium is coming soon to the bustling College Street and Spadina community. 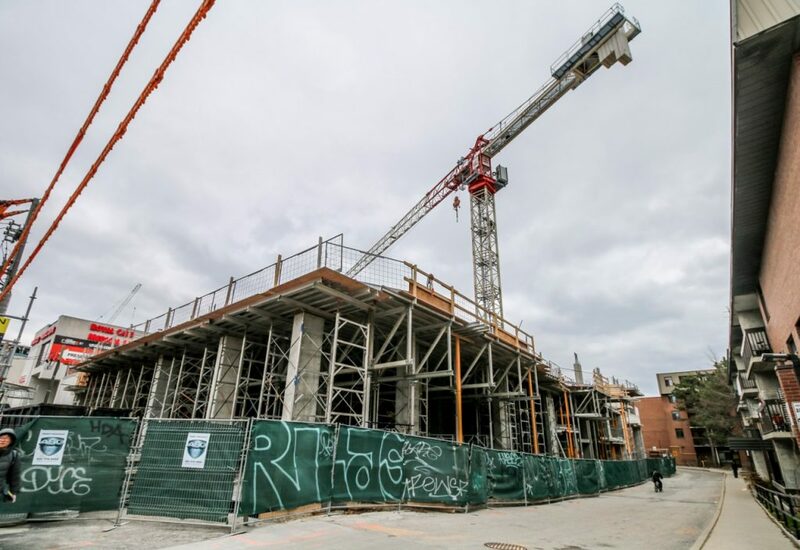 BuzzBuzzHome News recently dropped by the site at 297 College Street to check out the project’s construction progress. 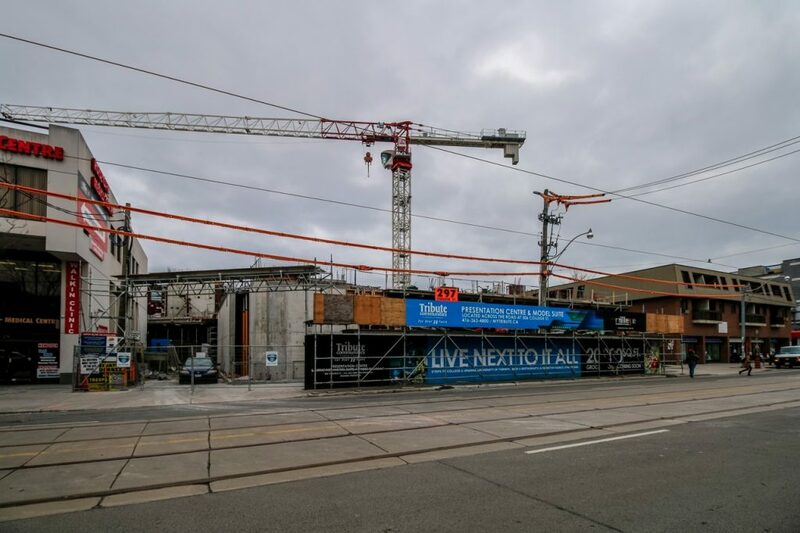 With excavation and shoring work complete, construction on the new condominium is now above grade starting with the retail space and residential lobby on the ground floor. 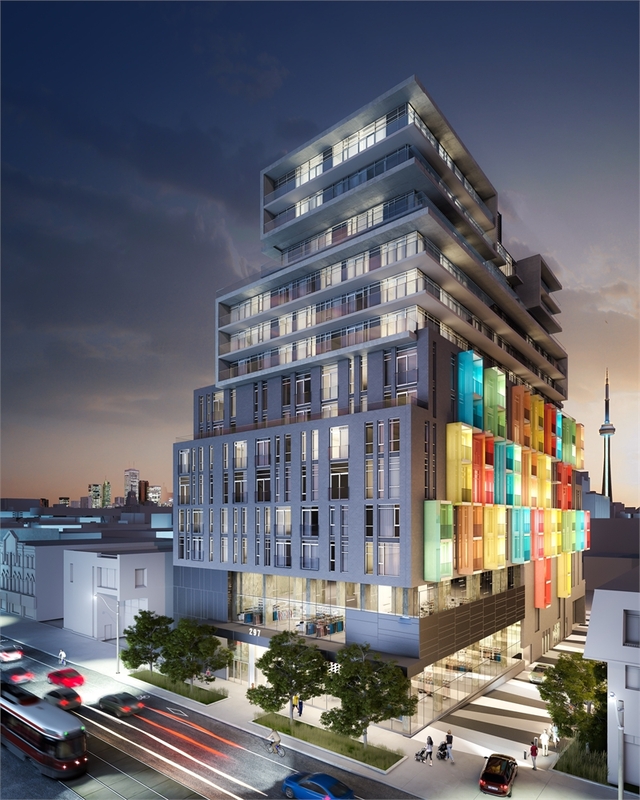 Once complete in 2016, the Core Architects-designed midrise will house 226 units and boast a multi-hued facade adding a splash of colour to the lively neighbourhood. The development will also feature a wealth of amenities including a 20,000 square foot grocery store directly within the complex. Other in-house amenities include a fully equipped fitness room, party and theatre room, billiards room, bicycle storage, and a 24 hour concierge. Residents at The College will also benefit from the development’s ideal location close to the University of Toronto, Chinatown, and the eclectic shops of Kensington Market. And, with the Spadina and College streetcars just steps from your door, getting to other parts of the city couldn’t be easier. Interiors at the The College are designed by Bryon Patton & Associates and feature nine foot ceilings, laminate flooring in main living areas, quartz countertops and glass mosaic backsplashes in kitchens, and porcelain tile floors in bathrooms. Suites range in size from 452 square feet to 1,035 square feet and start at $343,990.